¿Do you need to integrate your PrestaShop ecommerce with MDirector? Thinking about you and your clients we have developed the most advanced PrestaShop Addon of the market with a professional tool of email marketing & SMS campaigns. Download the plugin of PrestaShop with MDirector and you will always have your database perfectly synchronized, in a simple, easy and intuitive manner. Why integrate your Prestashop ecommerce with MDirector? 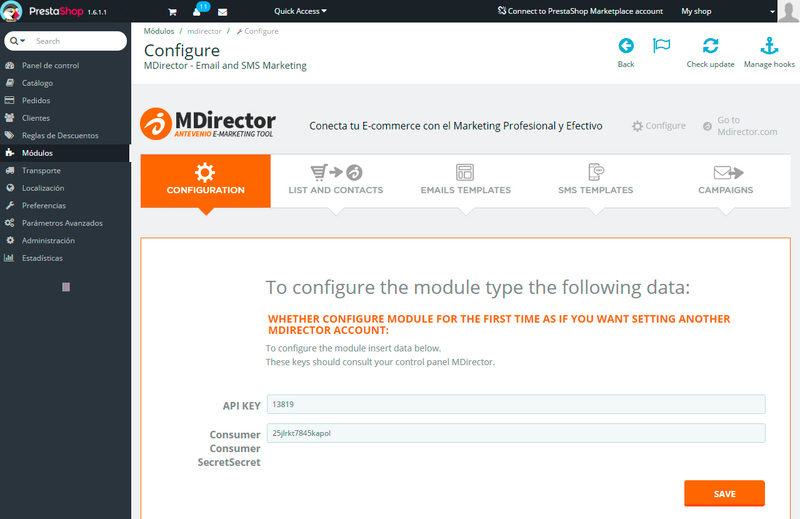 Module set up: You just need to enter MDirector API credentials in your PrestaShop ecommerce. 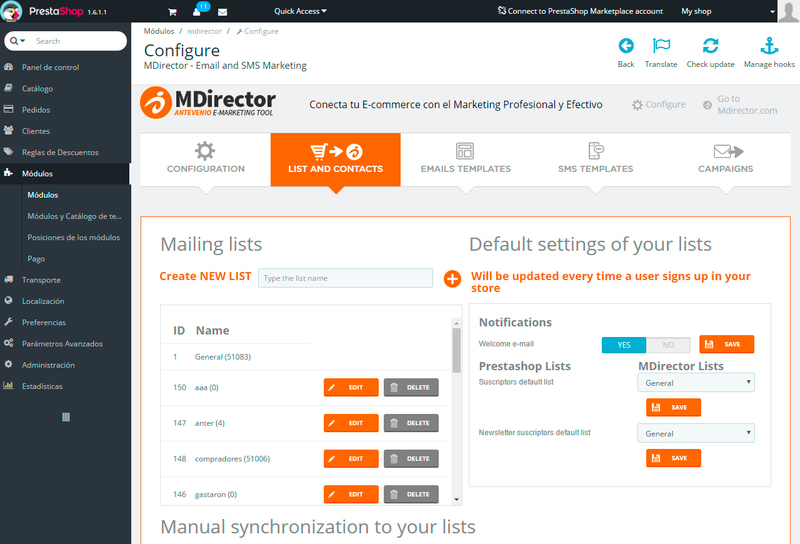 Subscribers: Synchronize your client database between PrestaShop and MDirector. 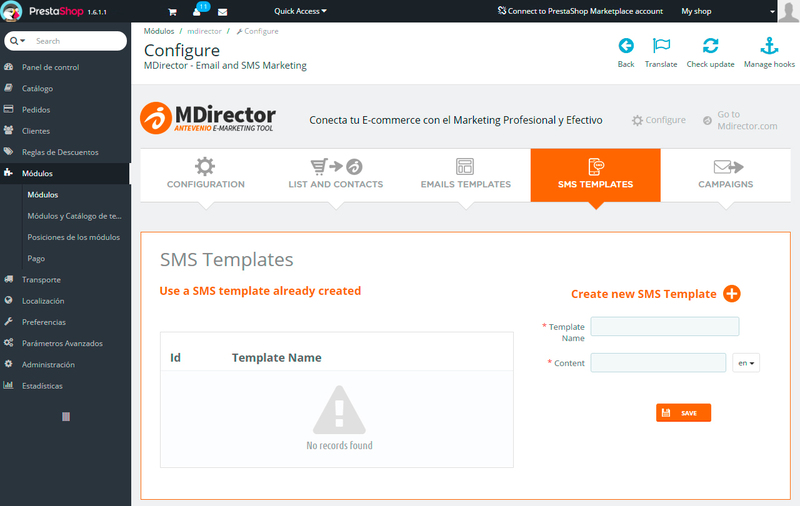 PrestaShop Email Marketing & SMS campaigns: Create and send your MDirector campaign from PrestaShop. NEW! 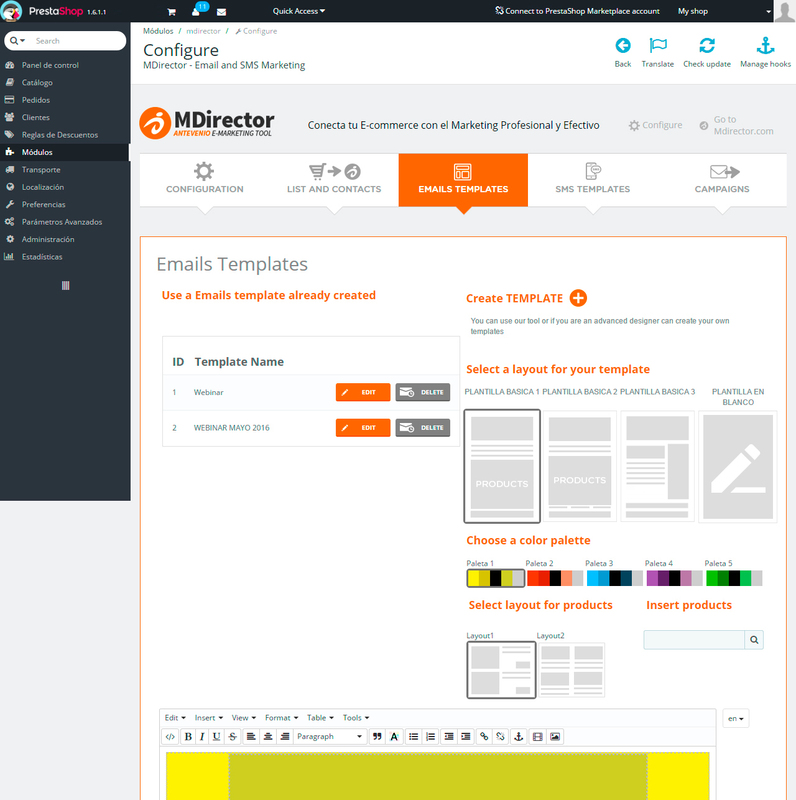 – Send your welcome email campaign using MDirector. In the twinkling of an eye you can set up the use of the platform introducing the API Key for your MDirector account in the dashboard of PrestaShop. The process of the synchronization of the database will always start with the data from PrestaShop ecommerce platform. By downloading the plugin you will manage to have the main available groups in PrestaShop platform synchronized with the lists you have created in your MDirector account. You just need to choose one the lists available. We have also created a button that allows re-synchronization of the subscriber list of PrestaShop platform with MDirector. 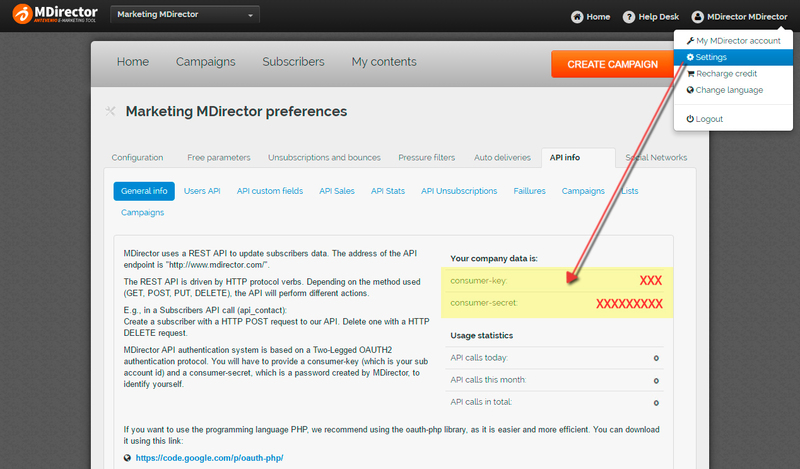 In addition to synchronize your new subscribers, it will show up the number of subscribers you have in each list. – Selection of the layout: it will be included 3 or 4 different templates. – Selection of colors palette. – Selection of products to be included. – Selection of the subscribers’ list to which you want to send it. Download the plugin of PrestaShop ecommerce with MDirector. In addition you can also include other parameters for the campaigns that are available in MDirector platform such as: Header, Analytics parameters, Campaign, Campaign tags. – The system allows to include links in the text so that you can redirect the client to your online shop. – Selection of the subscribers list to which you want to send it.